The Japanese auto giant says its third-generation autonomous vehicle is the sleekest and smartest in the game. It seems that just about every major Silicon Valley player has a stake in the race to bring self-driving cars to the mass market. Don't count Toyota (TM - Get Report) out of that race, either. Toyota Research Institute (TRI), the Silicon Valley-based R&D unit of the Japanese auto giant, has just revealed an autonomous research vehicle that it bills as being smarter and sleeker than all the rest. The car, dubbed Platform 3.0, will be on display at CES 2018 next week. Platform 3.0 is Toyota's third-generation autonomous vehicle platform and is built on a Lexus LS 600hL. Unlike its predecessors, however, it has LIDAR sensors that can "see" 360 degrees around the vehicle and up to 200 meters away from the vehicle, making it "one of the most perceptive automated driving test cars on the road," according to a press release. By comparison, LIDAR sensors made by Velodyne (which was previously used by Alphabet Inc.'s (GOOGL - Get Report) Waymo self-driving car unit) have up to a 100 meter range. Platform 3.0's LIDAR technology is able to 'see' up to 200 meters in front of the vehicle. The technologies that power Platform 3.0's self-driving features are also built seamlessly into the vehicle, giving it a more consumer-friendly look, TRI said. 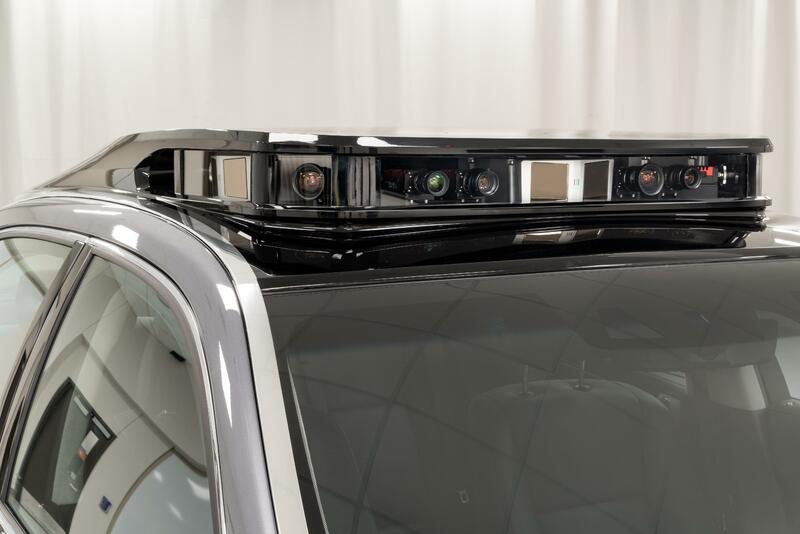 Most autonomous research vehicles have bulky LIDAR sensors that protrude from the top of the car. The Platform 3.0's design eliminates the "look of equipment as bolt-on appendages...that has historically characterized autonomous test vehicles," TRI added. The Toyota unit has designed two test vehicles that use its Guardian and Chauffeur testing platforms, both of which TRI will begin production of in the spring. Guardian uses Level 3 autonomy, which means that the car controls acceleration, braking and steering, but expects humans to intervene during certain driving situations. Chauffeur uses Level 4 autonomy, which covers most driving scenarios, and Level 5 autonomy, which means the car is fully autonomous without human interaction. Toyota's announcement comes as tech giants continue to pair up with auto manufacturers to produce self-driving cars. On Thursday, Volkswagen and Hyundai announced partnerships with Aurora Innovations, a self-driving car startup founded by a former Waymo engineer. Meanwhile, Waymo, Lyft, Nvidia Corp. (NVDA - Get Report) , Intel Corp. (INTC - Get Report) , Uber, Baidu (BIDU - Get Report) and other tech firms have forged partnerships with carmakers. Toyota in 2015 set aside $1 billion for its research arm to develop artificial intelligence technologies focused around autonomous vehicles and robotics. Alphabet and Nvidia are holdings in Jim Cramer's Action Alerts PLUS Charitable Trust Portfolio. Want to be alerted before Cramer buys or sells GOOGL or NVDA? Learn more now.